A legendary teacher at the University of Chicago and a very fine scholar, she was at once a most perceptive student of great literature and a spirited and enlightened patriot. She was able to combine in an unusual way philosophic detachment and moral seriousness, a rare kind of enriching gravity and a wonderfully enlivening wit. Her marriage to Leon was a model for all; her friendship was a blessing for those of us fortunate to have known her. This is a book about America for every American. More precisely, this is a book about American identity, American character, and American citizenship. 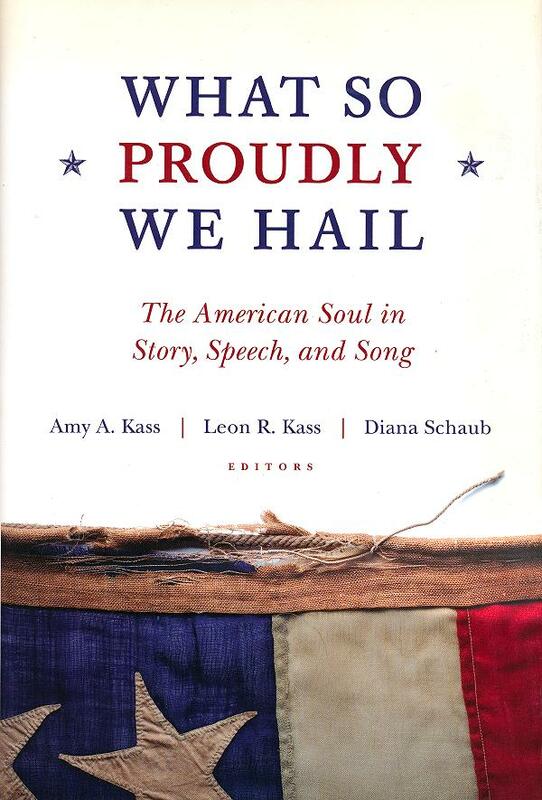 Addressing hearts as well as minds, exploiting the soul-shaping powers of story, speech, and song, it is designed to make Americans more appreciatively aware of who they are as citizens of the United States. Its ultimate goal, stated without apology, is to produce better patriots and better citizens: men and women knowingly and thoughtfully attached to our country, devoted to its ideals, and eager to live an active civic life. 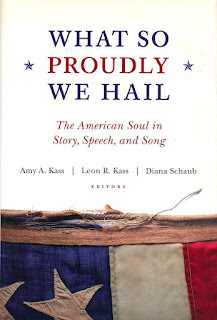 I bought that book and it and certain other writings (some of which I have quoted repeatedly, especially on Memorial Day) mark the extent of my acquaintance with the work of Amy and Leon Kass. It seems to have been good and worthy work.